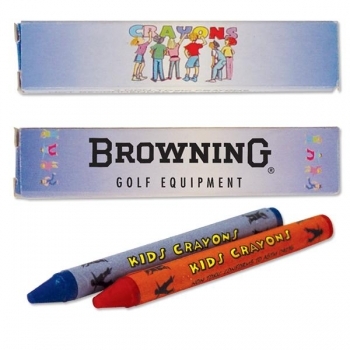 When compared with other advertisement methods, the promotional items like custom 2 pack crayons are frugal. 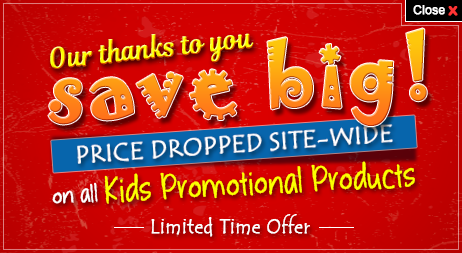 These are utility items for kids. They need it to display their creativity. 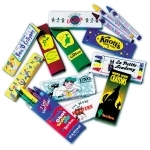 So when you imprint your brand name on to the crayon packet, they will have a look on to the imprint on it. 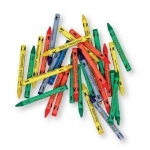 Even the adults can use the promotional 2 pack crayons to express their creativity. 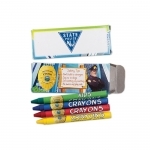 These personalized 2 pack crayons are CPSIA compliant and are non toxic. 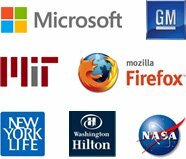 Hence they are safe for the children to use. The red and blue crayon sticks in the 2 pack crayon are ideal to promote your brand name through creative folks. The size of the product is 3 3/4" X 3/4"; 90MM. 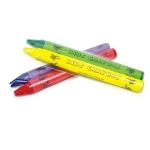 Almost every business like schools, banks, hospitals, retailers etc can use the 2 pack crayons for brand promotion. Imprint Area : 2 1/4" X 5/16"